People might be under the impression that doing live videos on your Facebook page is only worth it if you have a lot of followers. A lot. It is, in fact, a great tool to grow your business, regardless of the number of people you have on your page or in your group. 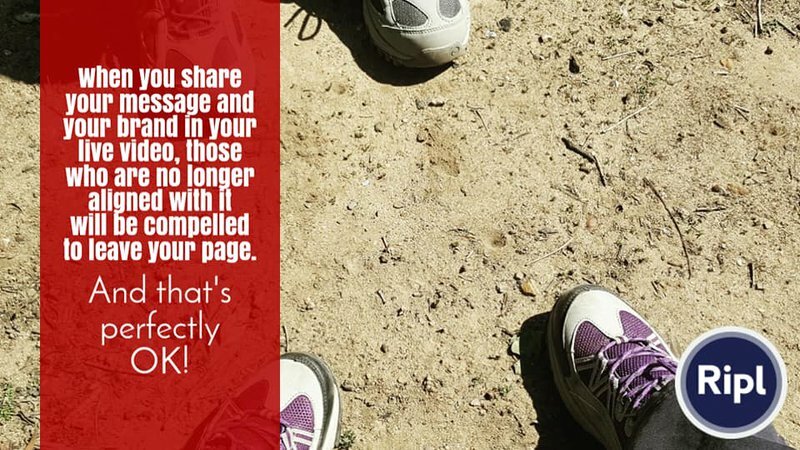 Don't wait until you have amassed a greater number of likes on your page. Give your audience great video content now. You will have shifts in your business. Many things evolve in your business and your content will need to accommodate for that. 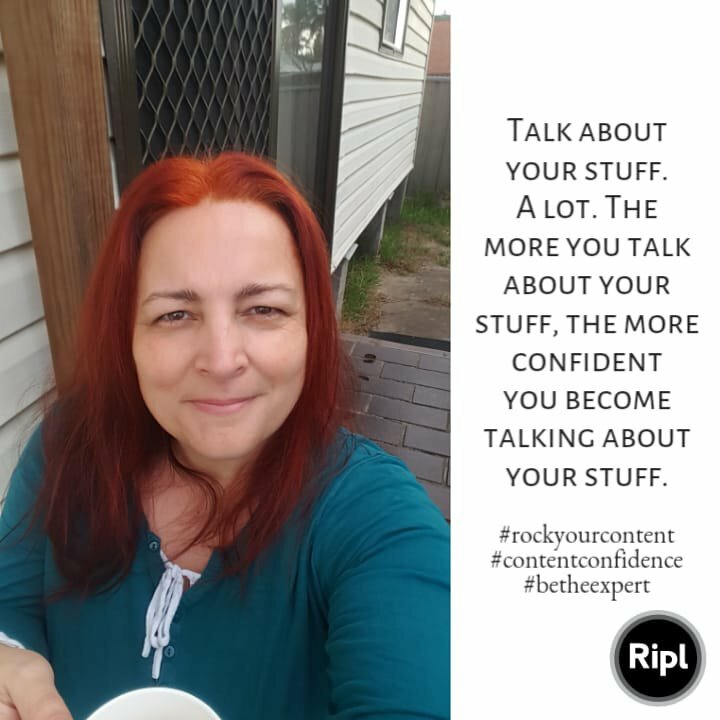 I niched down 3 times since I started my business back in 2016 and each time my content reflected that change. My topics became more and more refined and targeted at my new niche. When you have a shift in your business, live videos area great way to accommodate that shift in content. You don't want your content to have a complete 180 turn around overnight. You can introduce those changes gradually in your live videos. You can even talk to your audience about the shift your making and why. Start a conversation with them about the change and encourage them to share with you what they think. The more live content you do, the more refined your message is going to become. You will develop clarity through all the talking you do in your videos. The more you do it, the easier that clarity will come to you. When you want to introduce new things to your audience, you will have to cover some new phrases and expression, maybe even industry jargon as well. One of the ways you can brand yourself is by coming up with your own terminology and catchphrases. When you do that, they become an element of your language that is unique to you and your audience will expect them from you. I always tell my clients to create a signature intro and outro for their videos. This is a good example of introducing new language. The average lifecycle of a Facebook live video is 90 minutes to 2 hours. By making your content shareable, you ensure that the content you create in your live videos is much more enduring. Create highly valuable content and you will be able to share it and re-share it when the time is appropriate. Page audiences are not static. They have the potential to grow. Newcomers to your page may not have seen your older videos, so pint them towards your content. Videos is a highly shareable type of content. In fact, it's videos that are more likely to go viral than any other type of content. Having your videos on Facebook is great but when you upload them to other platforms like YouTube, they gain the platform SEO superpower. Something you don't get on Facebook. Facebook loves Facebook. That's just how it is. YouTube loves YouTube. The more accessible your video content is, the more people will share it. The more people share it, the more reach your content will get. Create video content that's worth sharing. Video is a fantastic way to get rid of people on your page and in your group. Because live videos are pushed into newsfeed more readily than other types of content, more people will see it by default. When you share your message and your brand in your live video, those who are no longer aligned with it will be compelled to leave your page. And that is perfectly OK! What you want are highly engaged people who are more likely to interact with your posts in a positive way. People who are not aligned with your message anymore or maybe never were will be dropping off your page like flies. Instead of hitting the "hide post" or "hide all posts" button, you're better off if they disengage and leave your page. Don't worry. That will leave more space for those people who are your ideal clients and your ideal audience. This is the opposite effect of what I was describing above. Your vibe, your words, your videos will attract the right people as much as they will repel the wrong ones. People are more likely to like your page and engage with your content when they feel connected with and aligned with you. In your live videos, speak about topics that are closely aligned with your marketing message. You will not be everyone's cup of tea. You want to find the people who are the lemon to your Earl Grey or the honey to your chamomile. Through the shareability of video and how Facebook works, people who are not on your page will get to see your videos through the interactions of their friends who are following your page. This is how your audience will grow. These are just some of the ways you can benefit from live videos and you don't have to wait until your page has a huge following. Honour your audience, regardless of how small or large it is by giving them good quality, great value content. Your audience will grow as your business grows and it will also flux and change as your business changes. This cycle is a natural part of any business. Are you a spiritual practitioner and you want to know more about how you can use video to grow your business? Let's have a chat. Sydney-based Content Creation Strategist & Video Editing Extraordinaire Andrea Kaldy at Virtualissimo removes the hassle of managing your online content.